Provenance: The Montgomery family, probably since the 19th Century at Stobo Castle, Peebleshire and moved to Kinross House, circa 1902, and by descent to the vendor. 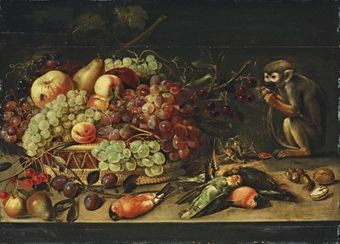 Notes: We are grateful to Dr. Luuk Pijl for confirming the attribution on the basis of a photograph and for pointing out the existence of another picture from the same series, with the same painted spandrels - the Winter, in the Museo Civico, Pordenone (see fig.1). The whereabouts of the other two seasons from the series is unknown. 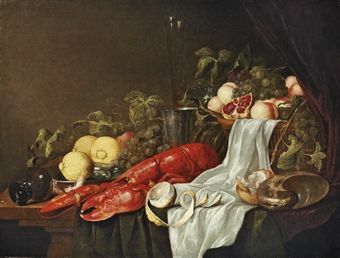 Pijl, noting the strong stylistic similarities in the painting of the background with works such as the Spring (private collection; R. De Bertier de Sauvigny, Jacob et Abel Grimmer, Brussels, 1991, p. 108, no. 12, p. 173, pl. 40), suggests a date in the 1580s, towards the end of Gimmer's career. 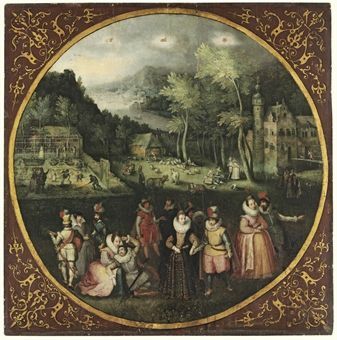 This picture relates closely to another circular depiction of Spring, formerly in the Dayton Art Institute, Ohio, in which de Sauvigny first raised the possibility that the main figures were by another hand, possibly Marten van Cleve (ibid., pp. 91-4, no. 1, fig. 37). In the present work, Pijl similarly makes the observation that the foreground figures 'are too advanced in their execution' compared to the staffage usually found in Grimmer's work, making it seem probable that the artist was indeed working with an accomplished collaborator. Francesco guardi, (venice 1712 - 1793), the piazza san marco with the basilica and campanile.